Information is power — and something the Chinese government fears. In the hands of disenchanted masses, information can undermine the legitimacy of the C.P.C. or destabilize the country. (Some 87,000 protests over corruption and poverty shook China in 2005.) To survive, the government jails dissidents and uses the Great Firewall of China. Google agreed to that censorship and rebranded itself as Gu-Ger, ‘Valley Song’ or ‘Harvest Song,’ with one eye on a freer future. China’s painfully long march to a free society must be homegrown. And Google can help. Democracy requires a supportive culture, the acceptance by the citizenry and political elites of principles underlying freedom of speech, media, assembly, religion, of the rights of opposition parties, of the rule of law, of human rights and the like. Such norms do not evolve overnight. Google can only help the Chinese develop such a culture — not impose it like the U.S. did to Japan and Germany after World War II. “Expanding access to information to anyone who wants it will make our world a better, more informed and freer place,” Elliot Schrage, Google’s vice president for global communications and public affairs, told the House committees in February. Since China’s Internet gateways had inconsistent ways of blocking international content, Google.com was loading slowly and sometimes not at all. To get around this, Google decided to create local servers, set up Google.cn and submit to “self-censorship requirements” for ISP’s in China. But there are caveats for the Chinese government. Every time Google.cn self-censors politically sensitive search results, Google will tell users that some results have been removed. 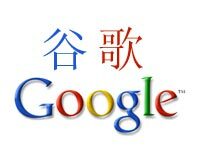 At the same time, Google is not eliminating the uncensored, Chinese-language version of Google.com, which China’s firewall will continue to censor. Even in an “imperfect” place like China, Mr. Schrage said, the Internet is changing China for the better, and a study by the Chinese Academy of Social Sciences [CASS], in Beijing, shows the Chinese agree. Only 7.6% believe Internet content should be censored. Chinese students, for example, are using the Internet not just for politics but also to study and apply for U.S. colleges and obtain U.S. visa. They will sure see a lot of anti-Beijing diatribe in the U.S. than they do in their home country. Public criticism over Google’s entry into China has been skewed at best. In China, Google, for now, will become just another search engine like its popular local counterpart Baidu. While much of the criticism directed at Google is valid, singling it out as the rallying cry for all the ills in China is wrong. Doing so gives the public the impression that Google is solely responsible for perpetuating China’s censorship or that it could exert enough pressure to change Beijing’s policy overnight. If we are that incensed about China’s human rights record, then we should pressure all U.S. businesses from curtailing or withdrawing their investment. Microsoft cooperates in censoring or deleting blogs that offend the Chinese government’s sensibilities. Cisco provides the hardware that gives China the best Internet-blocking and user-tracking technology on the planet, human-rights experts say. Cisco Systems has been supplying advanced surveillance and censorship tools to the Chinese government.